From now on, your usual Pret option won’t get a look in, as there’s a new kid on the block when it comes to fresh and tasty lunch offerings in the city. 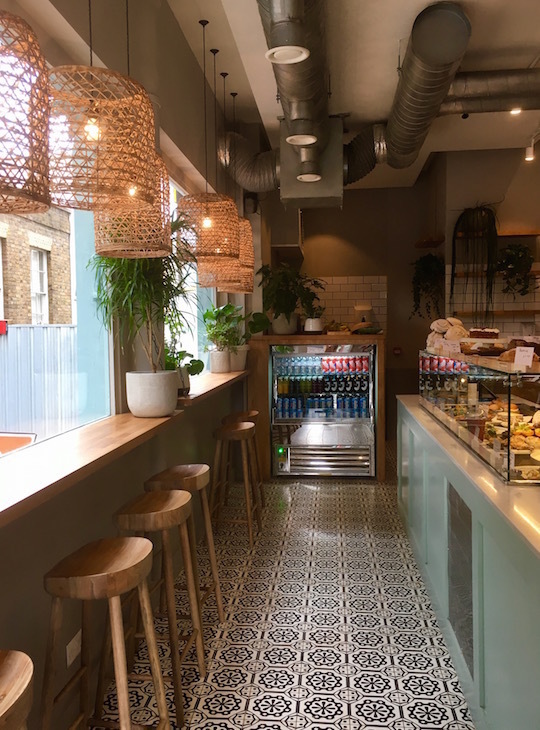 Complete with pink coffee machine and plenty of plants, The Dayrooms Café in Holborn offers a weekly changing seasonal menu, so you never quite know what you’re going to get from the colourful deli counter. Fill a box with salads such as roasted pumpkin and feta, pak choi and beansprouts, or wild rice, then choose extras from the likes of bruschetta and tacos. 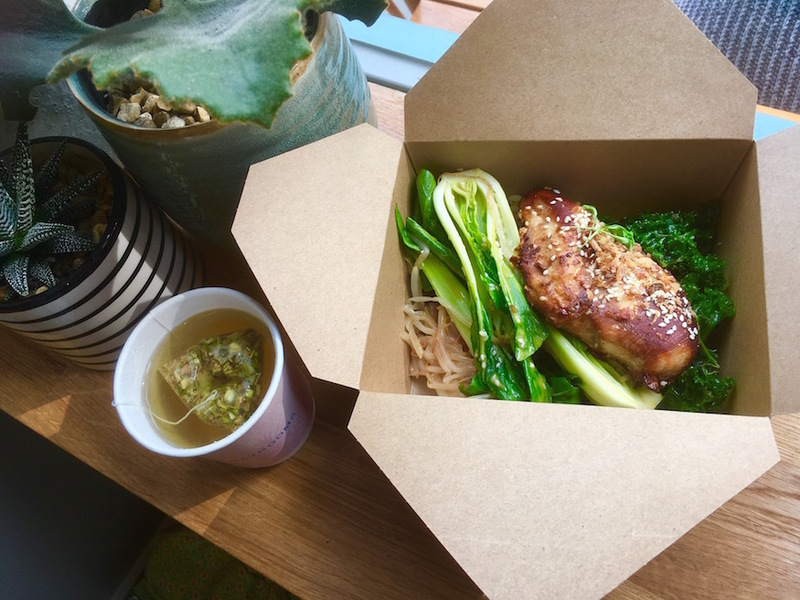 Protein add-ins are varied, and even include vegan options —succulent soy, honey and sesame chicken was a sound choice, but the crispy skinned trout and courgette fritters looked equally delicious. 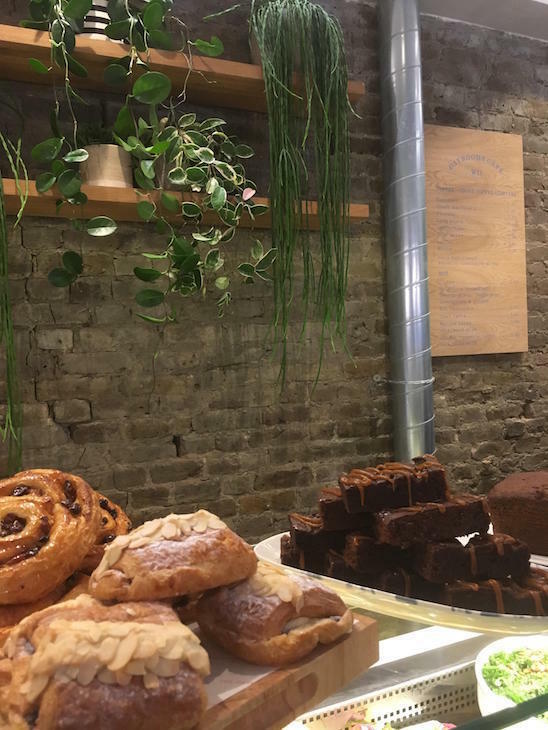 When it comes to cakes, adventurous options such as carrot and cardamom cake, buckwheat banana bread and miso caramel brownies definitely give Dayrooms’ bakes the edge. The venue is small (but perfectly formed) and lends itself primarily to take away, but there are still a few spaces to sit, munch, and admire the stunning interiors. With a vitamin-heavy smoothie menu, teas from T2, insanely good coffee and décor that makes the café Instagram-worthy, Dayrooms is a hit.